in the 20s there was a triumph of glitter and sequins. The flapper girls wore pearls, cloche, dance shoes, feathers, sparkling clips. You can find all these accessories on http://uk.accessorize.com/ , which is the online shopping of the famous retail Accessorize. From the homepage, you can enter directly into the categories of products, then I can refine your search by color, style and size. Shopping is really very simple, I fill in the cart and log in my data. The transitions are secure and data are protected. 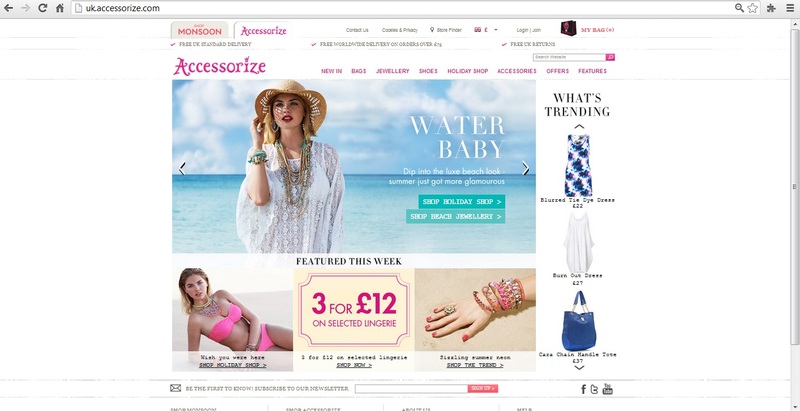 Accessorize accepts major credit cards and PayPal, the shipping charges are free in England and the rest of the world are free for purchases over than 75 Pounds, lower figures cost about £ 4. I can choose the delivery time, I can return damaged product and get a refund or replace it. I like this e-store, it is full of interesting and economic items! Now I turn into a flapper girl and I’ll go to see the movie: I love Leonardo di Caprio! Good shopping to all of you!